Ask any special education teacher, the trickiest part about having a classroom with so many different ability levels and needs is making the schedule. And then not only making up the schedule, but setting it up each day for students as well! I am in a unique situation, my room is not exactly self contained but functions like one for our morning block. Read more about the classroom structure in my program at my about me page. This past year I started out with 7 students and 6 aides, 5 of which were 1:1 aides and 1 classroom aide for 2 students. It can definitely be a blessing to have so many staff members in my room, especially when my students are so severe that they need that 1:1 attention. It can be challenging too, see some hints for working with paraprofessionals here, something I'm always working on improving! Since I have so many aides, I can do a lot of individual stations with my students, which often best meets their unique needs. If you don't have this kind of staff, don't despair! You can still do a similar schedule with small groups and some individual work stations (such as work boxes). When planning my schedule I use excel to plan everything out and make each station a different color so I can better see when each student goes there and make sure there isn't too much overlap. The picture above isn't the best quality, but shows some of our different schedules, we have different schedules based on the day of week due to related services and other unique situations. I post the schedule for the day next to the binders so that we can check and update students schedules as needed. (You can see in this picture a couple students have been crossed off, this picture is from the end of the year when those students left my class). All my students start their morning by grabbing their (color coded) binder, signing in, and completing their classroom job (about 10 minutes). Then we all group together for a 20 minute class time where students share their information from their jobs with the class, we do classroom greetings, and go over our daily question. After our class time is done, all students know to check their schedule and follow their individual routine. See here how easily the pages are stored and switched out. 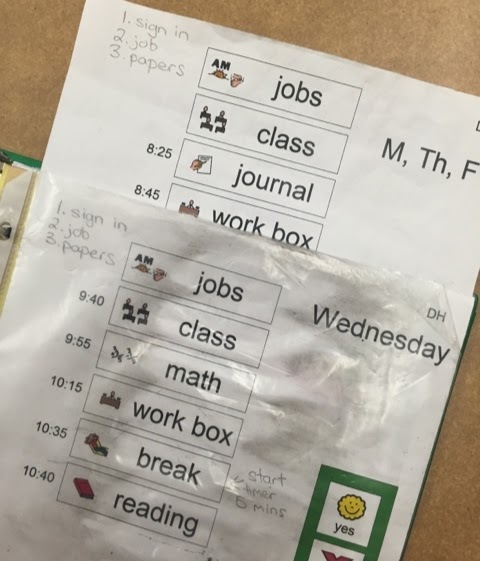 Some of my students need a schedule that they can manipulate easier, for example, removing schedule items that are finished, matching schedule items to certain areas of the rooms, or using their schedule pieces on a first/then board instead of seeing the entire morning at once. 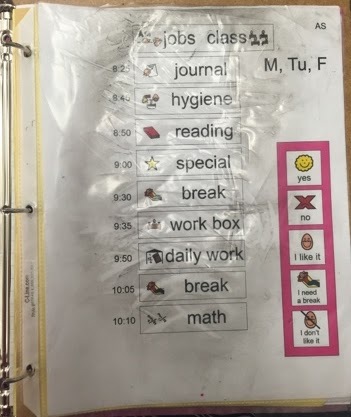 These students have a folder that they keep inside of their binder that looks like this with schedule pieces that have been laminated and velcroed. Read more about how I have set up and organized schedules previously in this post here. 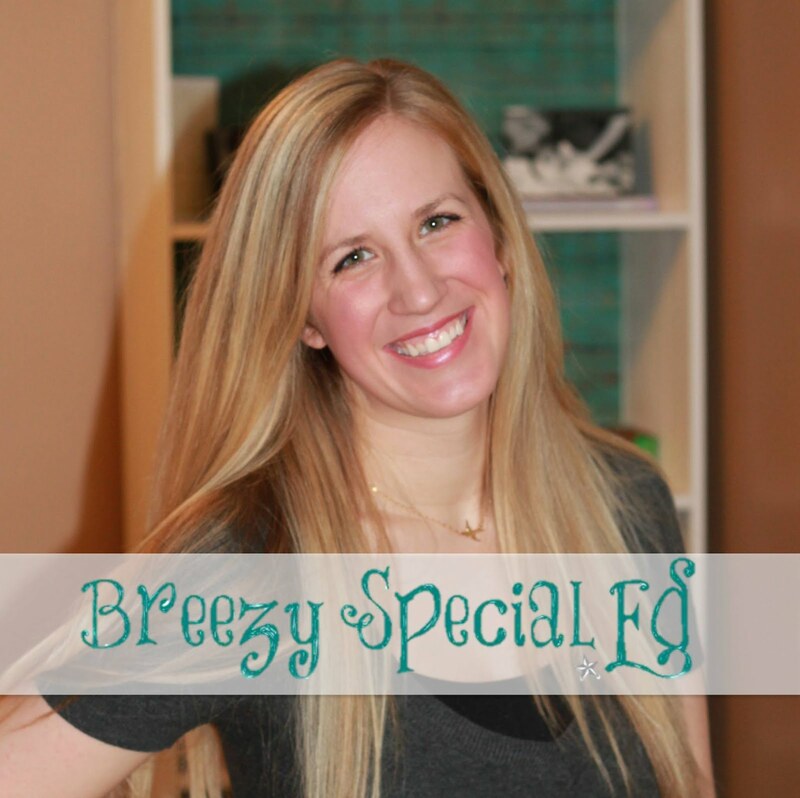 This post is part of a summer blog hop series! 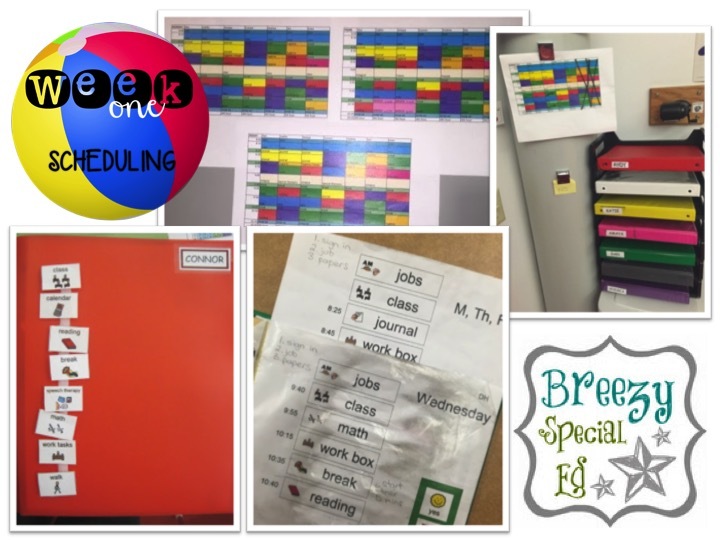 Hop over to Sped Station to read about how more special educators set up their scheduling. And come back each week on Sunday to check out the rest of the topics for this summer! Awesome hop post! Your made a complicated topic easy to understand! Just hopping through- checking everyone's blog out! It's great that you went the angle of individual schedules! I thought about doing that on my post, but I couldn't get my thoughts together to do it! You did an awesome job making scheduling seem easy! What a fabulous post! I love how you were able to include different kinds of schedules you use! Love this post! I love how you tied everything into your classroom routines! 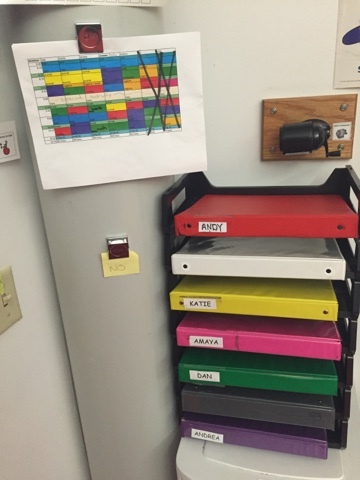 I love the idea of having the schedule velcroed right onto the students' folder/binder. I am now throwing around some ways to utilize this next year. Where do you store the scheduling cards? Love that you included the different student schedules that you use as well! Thanks for sharing how you use your schedules! I also love your ideas for student visual schedules! What kinds of jobs do you have your students do during that 10 minutes time frame? Great question! I don't think I ever discussed that on the blog before. I'll have to do a post! The short answer is: lunch menu, attendance, calendar, weather, daily sheets, cleaning, music, etc. I would LOVE to see a post on this!!! I struggle with the down time first thing in the morning when some kiddos are eating breakfast, some are still straggling in from buses/cars, etc. I'd love to set up morning jobs!!! How do you keep names and items on the binders? Having trouble with clear packing tape staying and labels will not stick either. Ugh! Help! I always used clear packing tape and it worked great. Make sure to get the good stuff (aka not from the dollar store) and put it on so it wraps over the binder, not just on the spine. Hope that helps.